So today was the day that the SEC finally released proposed rules on crowdfunding after more than 18 months of anticipation. I have two general observations. My first observation is that the SEC rules are very true to The JOBS Act legislation. In many cases that is great – it means that the SEC did not add onerous provisions that would gut the intent of the law. In other cases it is a disappointment. For example, the audit requirement for companies that are raising more than $500,000 still remains (despite the statute’s provision which permits the SEC to adjust that threshold). My second observation is that this is an enormously complicated undertaking. The proposed rules are 585 pages and ask for comment on nearly 300 individual questions. There is a 90 day comment period, after which the SEC is going to take a look at the comments and finalize the rules. After that, there is final publication and then the rules become effective. The punch line is that we are still a solid six months away (if everything goes well) from crowdfunding becoming legal. Companies cannot raise equity using crowdfunding until then. It is very important to understand that while crowdfunding is coming, that day is not here yet. Because of the complexity in the length of the proposed rules, I can only highlight a few things. A number of commentators will be preparing much more extensive commentaries (including one from Crowdcheck.com which is sure to be excellent based on their track record). Also, remember that FINRA (the organization that regulates the broker-dealers and new funding portal websites) just published its proposed rules today also (right after the SEC release). So a lot more is coming over the next week or so. We have a long way to go, and a lot of information to digest. But, with that said, here are a few interesting points from my initial review of the extensive proposed rules. Advertising. Companies that are using crowdfunding can only advertise the offering by directing potential investors to the funding portal. They are not allowed to advertise the terms of the offering, including the amount offered, the length of the offering, or even the price. All of that information can be in one place and one place only – the funding portal. This allows the company to leverage the power of social media to attract potential investors, while at the same time ensuring that all communication is centralized in one place – the funding portal. The point? Everything needs to be on the funding portal. Companies can direct people to the portal, but it isn’t open season on social media. Cancellation period. The SEC believes that most of the power with crowdfunding comes from the fact that back-and-forth discussion on the campaign webpage will inform potential investors about whether or not it is a good opportunity. To that end, the rules permit an investor to cancel their commitment up to 48 hours prior to the deadline identified in the offering. In short, you could have a deal that looks like it is going to close, and then everybody backs out the last second. This has potential to be very disruptive to a company, but on the other hand, it does provide an important protection for the investors. A company can move up its closing date by providing five days advance notice, according to the proposed rules. This allows completely subscribed offerings to get closed up and funded, so long as they meet the other provisions in the law. Investment limitations. The JOBS Act tries to protect investors by only permitting them to invest a maximum amount based on their income and/or net worth. The invest limits are between $2,000 and $100,000 per year, for ALL crowdfunded investments during the year. There was a lot of concern that the SEC would put forward a rule that was very difficult to be practical. Because people would be making investments on various funding portals, the information about how much investor has put into crowdfunded deals for the year may be hard to determine. The SEC recognized that, and suggested that the investor would be able to “self-report” their income and net worth, as well as their previous crowdfunding investments for the year. The responsibility of a portal to investigate this information is limited. However, that doesn’t mean that funding portal who has already received more crowdfunding investments than is being reported by a particular investor is allowed to rely on information it knows is untrue. To the contrary, the portals still have a responsibility to pay attention. This is good news here; without allowing self-reporting of previous investments, it would be darn near impossible to figure out if someone was over the limit because of investments made on other funding portals. Banks handle the money. Because a brand-new creature was created as part of the law called a “funding portal” (which doesn’t handle investor money), there was some question about how investor money would be transferred to the company. The SEC has proposed that only banks should handle the money. This is fine, provided that banks are willing to provide the service. There most certainly are broker-dealers, escrow agents, lawyers, are others who would be willing to fulfill this role if the banks don’t step up to the plate. The SEC needs to make sure that banks are “in” or else the whole system falls apart. On-going reporting. This is an area where the SEC kind of whiffed. The JOBS Act requires annual reports. But, the SEC is requiring the same standard in financial reporting on an annual basis as for the offering itself. That means once a company raises $500,000+, it will always be required to produce audited financial statements. This is awfully expensive. Additionally, the SEC wants companies to publish financial statements on their own websites. As you can imagine, the investors should have access to information, but it is kind of amazing that once a company is crowdfunded, it will be required on its very own website, to provide financial reporting. The SEC should consider giving some leeway and allowing companies to publish the information on a password protected site to investors or through the funding portal. Obviously, all this information is also available on EDGAR (the online public information tool), but it shouldn’t have to be on a company website. Portals can’t give “investment advice”. Funding portals are different than broker-dealers, because they can’t promote specific opportunities. The idea is that a funding portal is a neutral marketplace which allows investors to make their own decisions. This created some real concern that funding portals would be unable to pick and choose deals which they wanted to list at all. Otherwise, they were worried about being accused of giving “investment advice” by curating only the best deals. Fortunately, the SEC’s proposed rule permits a portal to set objective criteria that must be met in order to be displayed on the site. Moreover, the SEC rules permit search functionality which will allow an investor to look at opportunities that may work for them. Not surprisingly, the SEC prohibited enhanced fees to receive “featured listing” status (to have more prominence on the site). This is the sort of activity that could lead a funding portal to be perceived to be making recommendations. There does still remains some ambiguity regarding what criteria a funding portal can used to choose its deals without running afoul of the prohibition on investment advice. But at least there will be a limited opportunity for portals to help screen real bad deals from the public. Crowdfunded companies can also raise money through other avenues. Crowdfunded offerings are limited to $1 million over any 12 month period. There was a lot of concern that would prevent companies from raising any more than that $1 million through private placement or private equity funds (like venture funds). Lawyers call these “integrated offerings”, which means that you can’t combine two different rules to skirt around certain limitations.The SEC fortunately came down on the side of common sense. Because companies could raise money through variety of other methods, having a limitation on raising any other money for a full year could potentially have prevented these companies participating in crowdfunding at all. It also would have prevented private equity funds from making larger investments and successfully crowdfunded companies for an entire year. Capping all investment at $1 million is obviously contrary to the underlying purpose of the law: to make it easier for smaller and startup companies to raise money. SEC took a reasoned approach and proposed a rule that the $1 million limitation is for the crowdfunded portion of the deal only. There are a ton of other rules, some of which are more important than others. Ultimately, this is the opportunity for voices to be heard. While you’re welcome to comment here, I strongly urge you to also hit the SEC.gov website if you’ve got something to add. One of the biggest challenges facing the equity crowdfunding world is the question about how a secondary market is going to work. After all, at some point, investors must have the option of selling an ownership interest. That liquidity is necessary whether an investor owns stock in either Exxon or the car dealership down the street. We take it for granted as investors that we can always sell our publicly traded simply by logging onto Ameritrade. However, for a private company (those that are in every neighborhood in America) there is a relatively illiquid market. If you are the majority owner of a private company, you can hire a business broker to hook you up with a buyer. But if you are a minority owner, you usually have very few choices. One of the challenges of with crowdfunding is that each individual owner may have a life circumstance that makes them want (or need) to sell their stock. Although there are some legal rules (with likely more to come) that bear on when and how someone can sell their stock, one thing is certain: people are going to need to a market in order to sell. Companies like SecondMarket are putting together the pieces to let third parties bid for private company shares. But prior to the development of these secondary markets (which are going to require further regulation in the crowdfunded economy), it is critically important that the issuing company put policies in place to allow investors the right of “redemption”. That means that the company agrees to repurchase the shares at a pre-arranged price, adjusted by a periodic appraisal. It is a critical feature for an investor. And redemption rights allow the company to truly get the benefit of having the crowd. There’s nothing worse than having an owner who is angry at you – especially if the reason is that they are stuck with their shares. Cricca’s term sheet always includes a redemption right. Our companies have an annual redemption policy, which allows an investor to get on a list, and then have their shares repurchased by the company at a preset price. Investors will learn to demand this right. Companies that ignore the right of redemption do so at their own peril. We have officially opened up our office in Atlanta! In honor of our new hometown, I’m sharing a few things that we can learn from Habitat from Humanity. Prospective crowdfunders should take heed of these important lessons. Georgia has long been home to the evangelical Christian community. Back in 1942, a farmer named Clarence Jordan declared that segregation went against his Christian values. On a small farm in Americus, Georgia, a rural community about two and a half hours south of Atlanta, Jordan began Koinonia Farm, an interracial community where Christians could work together for a better life. More than 20 years later, a successful businessman named Millard Fuller decided he needed to take a long break from his business career in Montgomery, Alabama. He and his wife, Linda, had long believed in the idea of Christian service. The Fullers decided that their multi-year sabbatical should include visits to various Christian communities in the South, where they could spread the gospel while staying with similarly minded Christians. During his 1965 sojourn to Koinonia, Millard Fuller and Clarence Jordan struck up a close personal friendship. They developed a concept called “partnership housing”. The Koinonia farm community would work together with local charitable groups to build housing for those without funds. Fuller and his wife went to work on this new concept. The idea was that houses would be built at cost and the recipient of the house would not be charged any interest. A fund was set up called the “Fund for Humanity” that would be responsible for fronting the money needed to purchase materials to build the houses. The Fund could be used to build even more houses, as new homeowners paid their house payments and supporters made no interest loans through the Fund. In 1968, after three years of planning, 42 home sites were cleared and a community park was built (in today’s parlance this would be called a subdivision). Homes were constructed and sold to families without profit being generated and with no interest on the loans. This project was the foundation for what was to become Habitat for Humanity. By 1973, the Fuller family was fully invested in this plan to provide families with accessible housing while spreading their Christian ideals. The Fullers even moved to Zaire to build houses for more than 2,000 people. After three years, the Fullers returned to the United States, having successfully expanded the program into what is now known as the Democratic Republic of Congo. Finally, in 1976, the Fullers gathered their supporters to officially begin the organization “Habitat for Humanity”. This organizational meeting, held in late September, has changed the lives of thousands. But the real growth came when Habitat found a successful backer. In 1984, former U.S. President Jimmy Carter and his wife Rosalynn officially began working with Habitat. Their first project was in New York City, and the impact of a former President working hand-in-hand with volunteers to build housing was immediate – especially under the glare of the New York media coverage. Money began flowing in, as well as thousands of volunteers. Habitat’s continued success springs from its ability to leverage Christian supporters who are all interested in participating in one of two ways. 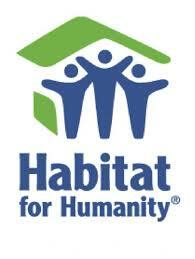 First, there are a large number of people who are interested in simply donating money to Habitat. This money can be used to purchase materials and land to develop. Second, there are a number of people who prefer to volunteer for the organization. Sometimes this is because they don’t have the money to donate. But often it is because they want the rewarding experience of participating in a humanitarian project with other people. People with a variety of construction (and non-construction) skills are in high demand at Habitat. But even people who are unable to provide skilled home building labor are very welcome. There are a number of projects (think painting) that require little skill. But other volunteers enjoy gaining new skills while working on these projects. Using experienced volunteers as teachers, new volunteers can learn to build roofs, install drywall, lay flooring, dig foundations, and even install plumbing and electrical systems. The result is that Habitat for Humanity has built more than 600,000 houses, which provide shelter for more than three million people in five continents. Over 3,000 different communities have enjoyed the benefits of Habitat’s mission. Habitat uses a very open process to choose the families that receive homes. Instead of just focusing on Christians or people of any particular racial group, Habitat utilizes very open criteria. Each local affiliate gets to choose the families that will receive homes based on the level of need, and their willingness to become partners in the program. Additionally the local affiliates are also required to look at people who are willing to repay the loans – after all these are people who will be supplying the capital to continue the project. Each local community has its own “Fund for Humanity” that is used to fund future construction. If a family wants to go ahead and sell their house during the period of the mortgage, the affiliate has a first right of repurchase – it can simply buy the home back by paying a price equal to the equity that the homeowner has paid and the mortgage. This prevents homeowners from simply “flipping” homes that were built on the backs of Habitat volunteers using money that was donated by Habitat supporters. Locations with higher income levels also contribute to the cause by having some of the money go to housing projects abroad. This falls in line with the religious concept of tithing, in which you contribute a certain amount of income to support those in greater need. Habitat embraces this ideal by shifting funds from higher income parts of the world to lower income areas. In addition, some slight refinements have had to be made for the international operations. For example, in the United States homeowners pay no interest on the loans that they receive from Habitat. On the other hand, in some developing countries, interest is charged in order to deal with that particular country’s high rate of inflation. The theory is that there should be enough money for a new house to be built for every house that has already been built. The use of the Jimmy Carter name has been instrumental in the growth of Habitat. Beginning with the 1984 New York project, Habitat has had an annual “Jimmy Carter Work Project Blitz Build.” This project is now called the “Jimmy and Rosalynn Carter Work Project.” In 2008, in the aftermath of Hurricane Katrina, volunteers headed down to the Gulf Coast in order to restore 60 houses and build an additional 48 for victims of the hurricane as part of the Carter project. At the same time, more than 1,000 building industry professionals were busily supervising tens of thousands of volunteers to build 263 new homes across the United States. The star power behind Habitat does not begin and end with Jimmy Carter. For example, the Bon Jovi song “Who Says You Can’t Go Home” has been used to support the organization. In the music video, the band is shown building houses in Philadelphia with Habitat volunteers. The video highlights Habitat’s efforts, while at the same time enhancing the image of Jon Bon Jovi as an active participant in the local community. It also burnishes Jon Bon Jovi’s reputation as a man of faith, resulting in (amongst other things) more music downloads and concert ticket sales. The video has inspired many more volunteers to get involved in the organization. It later emerged that President Carter was involved in trying to hush up the entire affair. According to reports, Carter asked Fuller to simply retire with his salary intact. However, Fuller could not stop talking to the media, and the Board was forced to dismiss him. 3) Validation from third-party endorsers makes all the difference. First of all, Habitat benefited greatly from its use of a division of labor. You have financial contributors, who are obviously very important to any organization. But with Habitat you also have a large reliance on the volunteer population. The use of volunteers, both skilled and unskilled, is nothing new to charitable organizations. But Habitat is uniquely successful because it allows people to see a project through from beginning to end. By offering this complete, immersive experience, Habitat takes people out of their normal “vacation” routine and puts them into a situation where they can develop new skills and enjoy the fruits of their labor. But much more importantly, volunteers are learning to build a house with other people. The result is that you have a network of individuals who look forward to their “vacation” every year with their newfound friends. The bonds that develop between members of the volunteer Habitat community are striking. Bound together by the concept of volunteerism and Christian faith, members often maintain lifelong friendships. This creates a very powerful volunteer network that can be activated for emergencies like Hurricane Katrina. By providing volunteers a sense of owner-ship in the organization, Habitat also fosters volunteer loyalty. Successful crowdfunding campaigns are about more than simply getting money from contributors. They are about getting people emotionally invested in the success of a project by providing an immersive experience. The successful projects also draw-in participants who have deep interests, but not necessarily the talents to pull off the project themselves. And the most powerful crowdfunding campaigns engage the contributors for the long-term, creating a commitment to following and connecting with the project (and the community created by the project) month after month, year after year. Second, despite Millard Fuller’s disappointing downfall, much was gained from his vision. He helped develop a house-building project in a small interracial community in Americus, Georgia and then duplicated his success in Africa. Once he learned that it could be done, he began to move his project to the next level. This included dividing the organization into affiliates – local organizations that could work on these projects in their respective communities. He also maintained his original vision as the organization grew. Although a requirement to pay a small interest rate would probably not disqualify anyone from purchasing a home that was built by Habitat, Fuller maintained the 0% interest rate. It was an integral part of his (and the organization’s) Christian philosophy. That concept, coupled with the first right of refusal for the organization to repurchase a home if the owner wanted to sell, has permitted Habitat to continue on firm financial footing to this day. Contributors attracted to crowdfunding campaigns are usually mesmerized by the vision of the person behind the pulpit. A powerful vision delivered by a strong leader is the quality that attracts crowds. Communicating centralized unifying themes is a key element that drives a successful campaign. Finally, the organization would not have grown to its current proportions without the backing of former President Carter. His involvement starting in 1984 garnered widespread attention for the organization and its humanitarian vision. Although the organization didn’t change its approach after Carter got involved, one thing is certain: the glow of the former President’s celebrity helped push Habitat to new heights. Quite simply, without Carter and his ongoing involvement, the organization would not have become the single largest creator of housing. Of course, it is telling that Carter was forced to be involved during Fuller’s downfall. Because the Jimmy Carter brand was so wrapped up with Habitat, he had to play a much larger role in unwinding Fuller’s relationship with the organization. Carter’s backing also led to the later involve-ment of celebrities like Bon Jovi. Not only does Bon Jovi’s involvement attract younger volunteers, it also enhances the Bon Jovi brand. Everyone knows that Habitat for Humanity is a faith-based organization that provides affordable housing, so Bon Jovi’s reputation benefits from the relationship. Third-party validation is important to the crowd. To ultimately have a successful campaign, having the endorsement of outside parties is critical. A powerful message alone isn’t enough if people don’t know whether or not they can trust you. Gaining the confidence of crowd-leaders is important. Successfully receiving the imprimatur of people with a large following gives a crowdfunding campaign a critical boost. If you are one of those leaders, much like Jimmy Carter, you will have to protect your reputation by doing whatever possible to ensure success for the crowd.